E-display solutions (E-DS) from Australian Bollards, the global leader in VMS parking systems, are much more than displays systems, they are high-end PC based systems capable of high visual performances. One of the things we love about them is that they can be fully integrated with any operating system. That means easy and simple control of display messages, which is supported by the built-in Windows operating system. This system supports various types of messages: from rate updates, advertisements, videos, flight information, weather updates and similar. Integrating the EDS-55 unit with your local network will enable remote access control and an efficient way of communicating with customers. 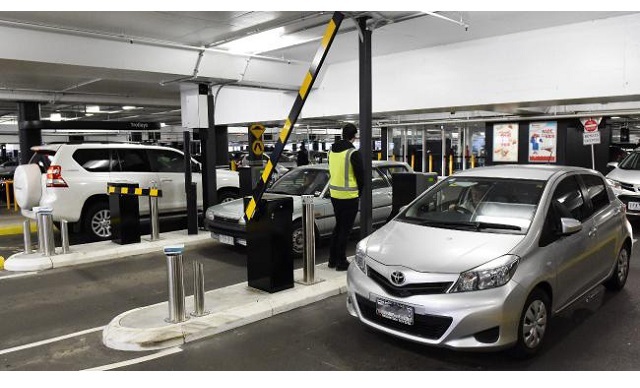 Thes e screens can be fully integrated with the entire parking system, which means they can be connected to a boom barrier and depending on the functionality of the barrier, display appropriate guiding messages for visitors. Integration with parking guidance systems, such as Park Assist, is another feature, along with other cloud-based systems. This is crucial for all newly arrived visitors who need detailed guidance and information on how to proceed after entering the parking space. Should your customer turn right or left? How many parking spaces are available now? Visitors arriving at airports, entertainment complexes, shopping centres and similar venues will be properly guided in busy environments, while saving time and eliminating stressful situations. Connecting our EDS units with a ticketing machine is yet another example of integrated parking solutions. By providing personalized information, such as welcome and thank you messages and all other venue-related information, your customers will feel well taken care of. Easy, quick and simple parking navigation is our common goal, and can be successfully achieved by using our EDS-55 screens. With their built-in operating system and the capability of displaying dynamic messages, they are a unique product on the market and highly advanced compared to others. For more information contact our friendly team today!